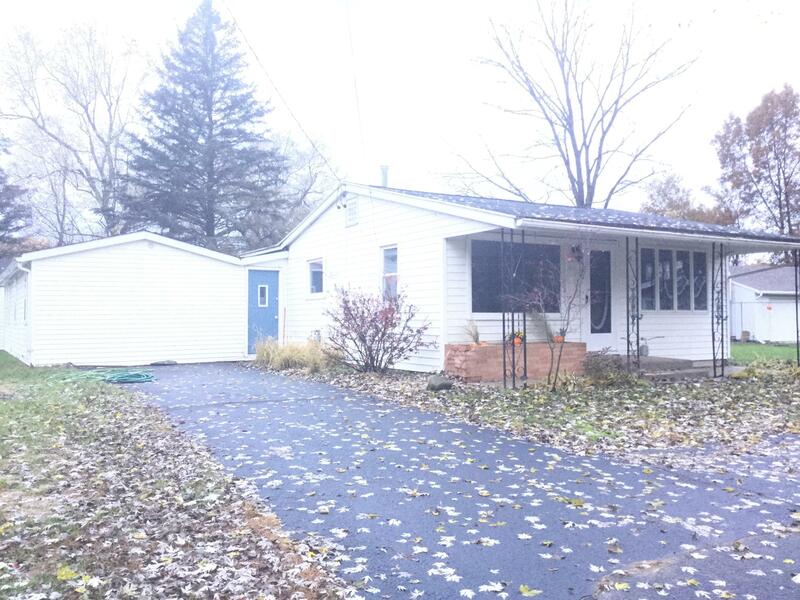 Very afforadable 2 bedroom 1 bath ranch on nearly an acre just 2.9 miles from the Hillsdale city limits. The carpets are all freshly shampooed, and the interior is freshly painted. You can move right in. This ranch is very spacious, with a family room overlooking the back yard. Plenty of closets inside, plus a large shed out back to keep your lawn equipment. Paved driveway , covered front porch, and a new well all add to its features. Call today for your appointment.